The same as Broussonetia kazinoki, Oriental Paperbush was planted to be used as a material of paper. It has expended to the mountain. 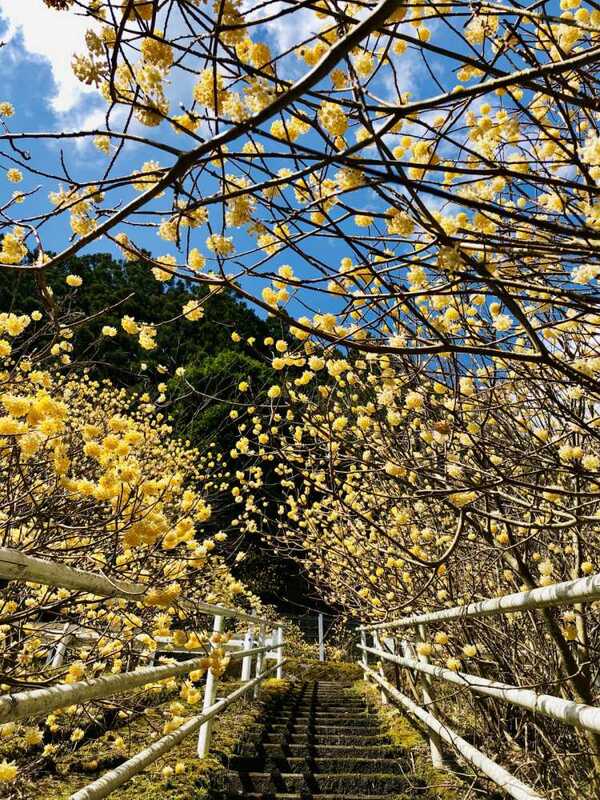 It's like a golden carpet in a depth of mountain, at the same season of cherry blossom.